It is the season of many citizens' discontent. Saying Chicago is at an inflection point, Mayor Rahm Emanuel said at a Monday afternoon press conference he welcomes the Department of Justice probe into the Chicago Police Department. 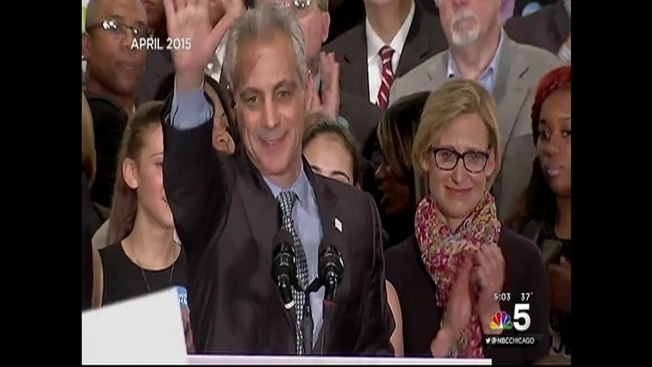 From a political standpoint, it has been a tough two weeks for the Emanuel administration. In fact it has been a tough year; police, teachers, pensions and property taxes are all continuing issues for the city’s embattled mayor. The video of the shooting of LaQuan McDonald provided the spark that lit the fire of protests in which citizens called for the mayor’s ouster. In print this weekend, the mayor attempted to blunt the criticism that he mishandled the investigation into the death of the 17-year old. “I own the problem…and I’ll fix it,” he wrote in an op-ed piece for the Chicago Tribune, using the same refrain he gave after he was forced into a runoff this past February. In April, Emanuel was re-elected with 56% of the vote only to face a mounting budget deficit, dropping bond ratings and finally a call for a massive --- and very unpopular --- $543-million property tax increase. Politically, he owned that as well. Still to be determined by the Illinois Supreme Court is the constitutionality of a change pushed by the mayor in pension benefits. But there is more; This week teachers will take a strike vote that could lead to a second walkout some time in next spring. A preliminary vote showed overwhelming support to strike, creating potentially another daunting political challenge that Emanuel must face.